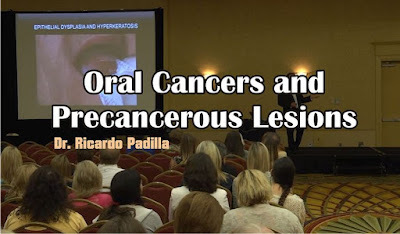 Early detection is key to prevent oral cancer. Signs of oral pathology include any of the following lasting more than 2 weeks: sore that bleeds, oral pain, lump or thickening, white or red patch, sore throat or a feeling that something is caught in the throat. Learn more in this presentation about Oral Cancers and Precancerous Lesions by Dr. Ricardo Padilla at the 2016 Spring OMSNashville Seminar in Nashville, TN.